There are many great things about going to Fall Market and one of them is catching up with the lovely Pat Sloan. 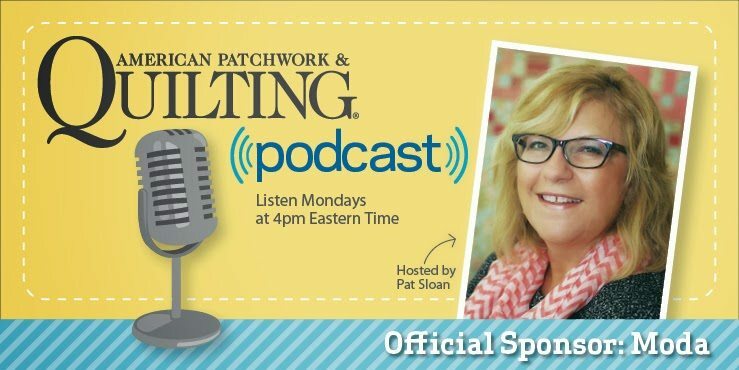 Tomorrow, I have a chat with Pat on APQ radio (podcast). The show time is Monday 4pm eastern, 3pm Central, 2pm mountain, 1pm Pacific for US and approximately 8am, November 4 for Aussies on the East Coast. 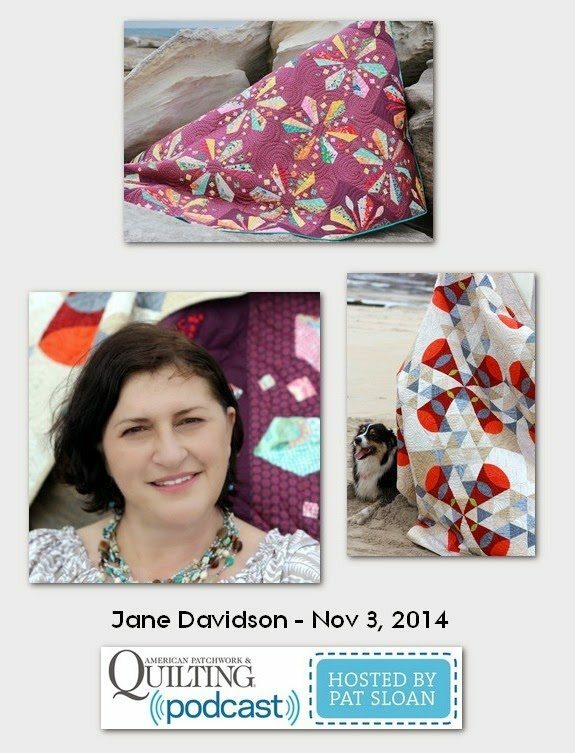 The website for the Podcast is http://www.allpeoplequilt.com/magazines-more/quilting-podcast. Visit Pat’s website http://www.creativetalknetwork.com for list of all interviews and hints on tips on how to download and listen to the podcasts. I love listening to the show while I quilt. In the interview we mention the soon to be released book – Desert to Sea. A self published book using the Createspace platform. A compilation of 8 Australian designers and 10 quilts. Watch this space for more news. Oooohhhh can't wait to hear the interview AND see the new book! Looking forward to the book and I'm interested in seeing how your experience with Createspace is. So excited for your book!!! so happy to download the latest podcast this morning and find you being interviewed ! so excited to hear more about your fabulous book ?